Have an old metal watering can wasting away in your basement? Maybe one that has holes in it and that is no longer usable for watering, but is still pretty or has sentimental value? 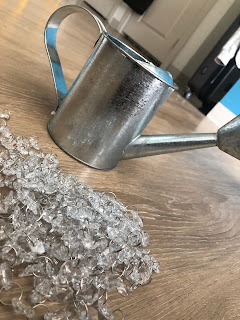 Use this fun and easy do-it-yourself project to create beautiful garden accessories out of new or recycled materials. 1. 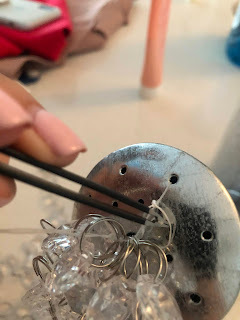 Cut the string of beads/crystals into smaller pieces. You want them to be different lengths about 3-5 inches each. 2. 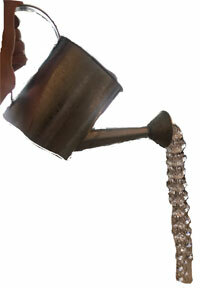 Push the cut bead string through the holes in the top of the water can's pour spout head. Use tweezers if necessary to help pull through the string. 3. Tie string into secure double knots. 4. Repeat stringing until you achieve the desired look. 5. 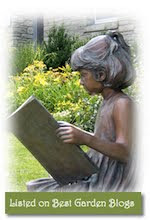 Hang your masterpiece in your garden! *Pro-tip: don't have string handy? Dental floss will do the trick! About the Author: Alexa Silverberg is a senior broadcast journalism major at the University of Maryland and is from Short Hills, NJ. 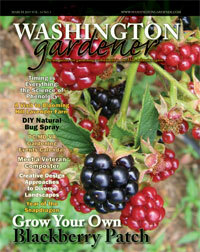 She is an editorial intern at Washington Gardener Magazine this spring semester.